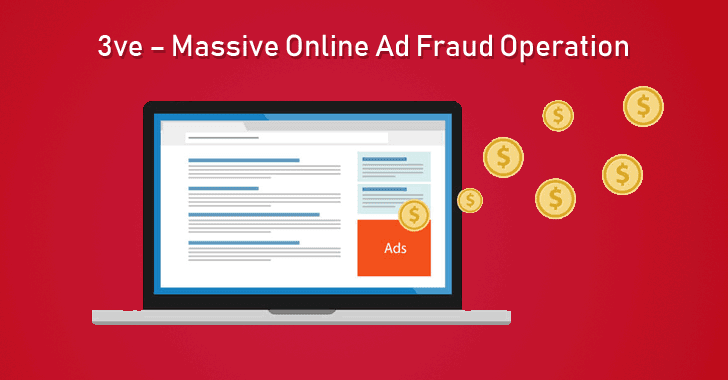 Dubbed 3ve (pronounced “Eve”), the online ad-fraud campaign is believed to have been active since at least 2014, but its fraudulent activity grew last year, turning it into a large-scale business and earning their operators more than $30 million in profit. 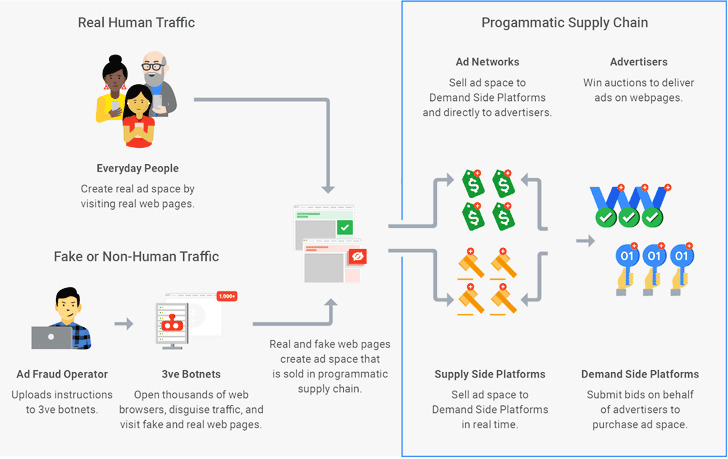 “Tech-savvy fraudsters try to produce fake traffic and fraudulent ad inventory to trick advertisers into believing that their ads are being seen by actual, interested users,” WhiteOps researchers said. 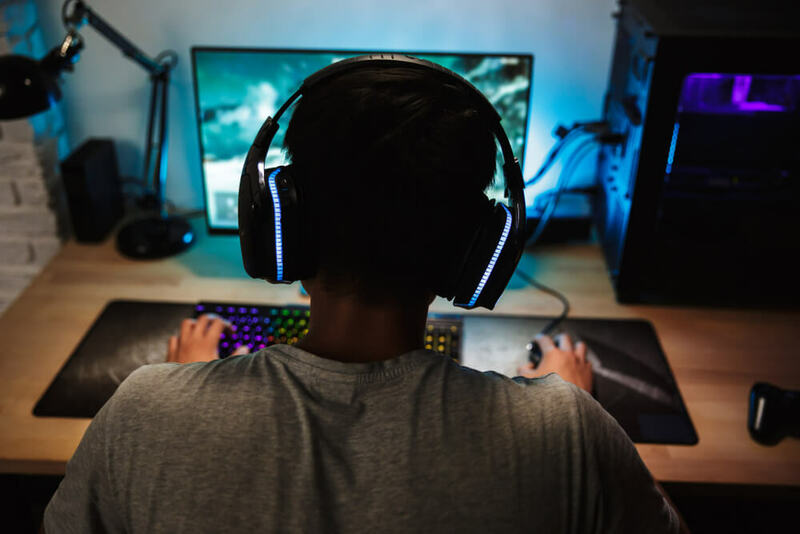 “Its operators constantly adopted new ways to disguise 3ve’s bots, allowing the operation to continue growing even after their traffic was blacklisted. 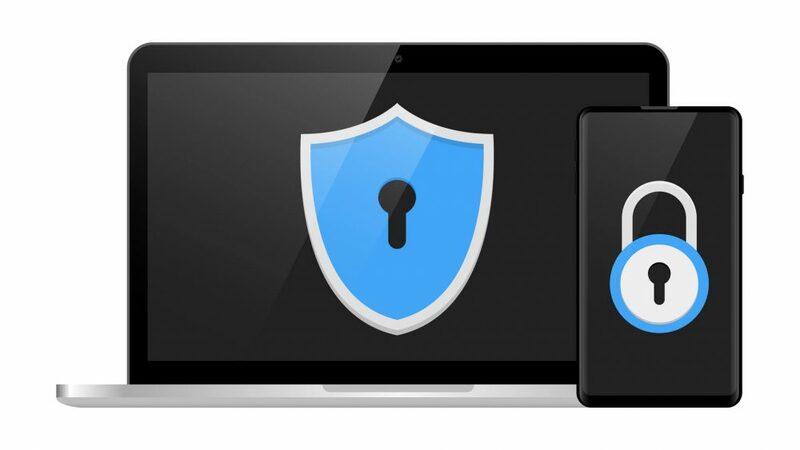 Whenever they were blocked off in one place, they’d reappear somewhere else,” Google said. 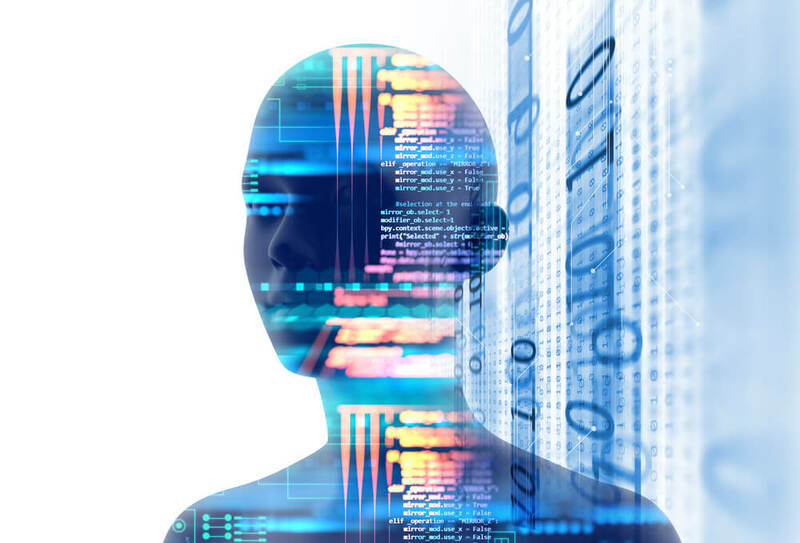 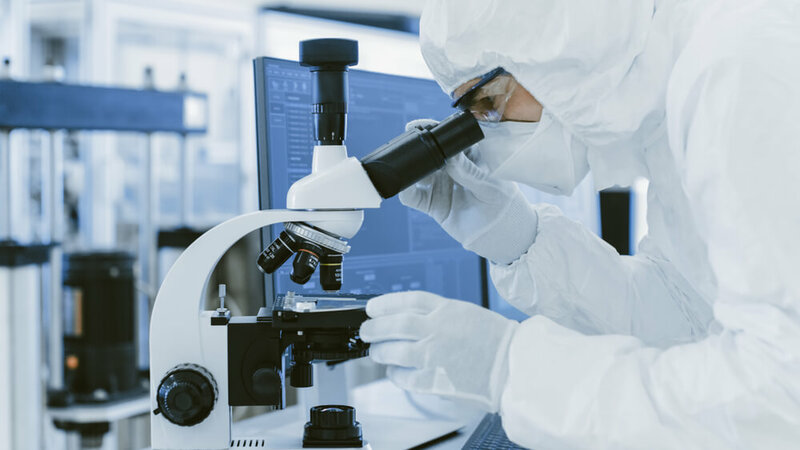 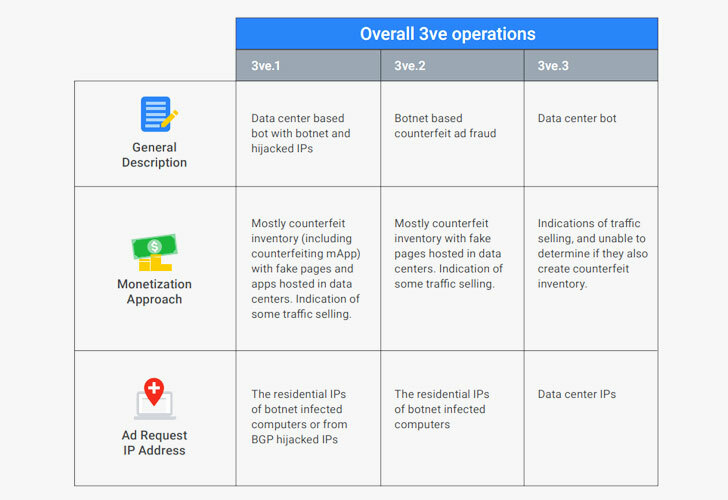 The first 3ve’s three ad fraud sub-operations, called 3ve.1 for the sake of clarity, was powered by a network of bots operating in data centers across the US and Europe. 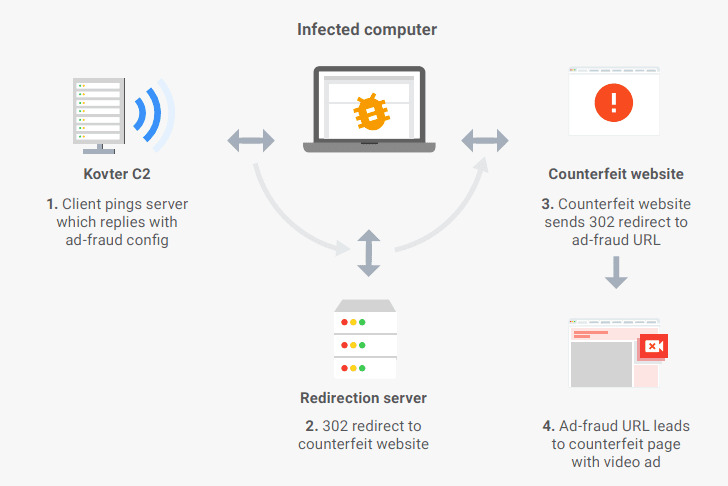 Detected by ESET in 2014, Kovter was initially a piece of ransomware, but the family has evolved since then to become ad fraud malware with its ability to send fake traffic if it detects a network monitor, terminate its own spawned process if Windows Task Manager is started, use so-called “fileless” persistence by storing its malicious payload encrypted in the Windows registry, and more. 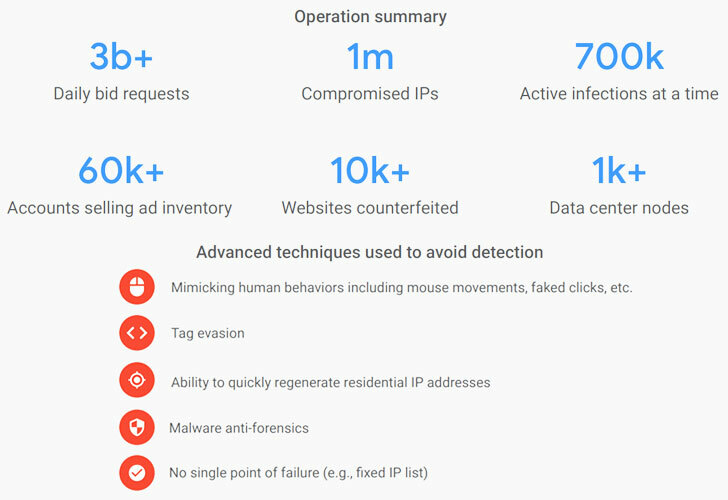 However, after 3ve’s activity grew in 2017, generating billions of daily ad bid requests, Google collaborated with other security companies who were independently investigating this prominent ad-fraud operation to take down the entire 3ve network. 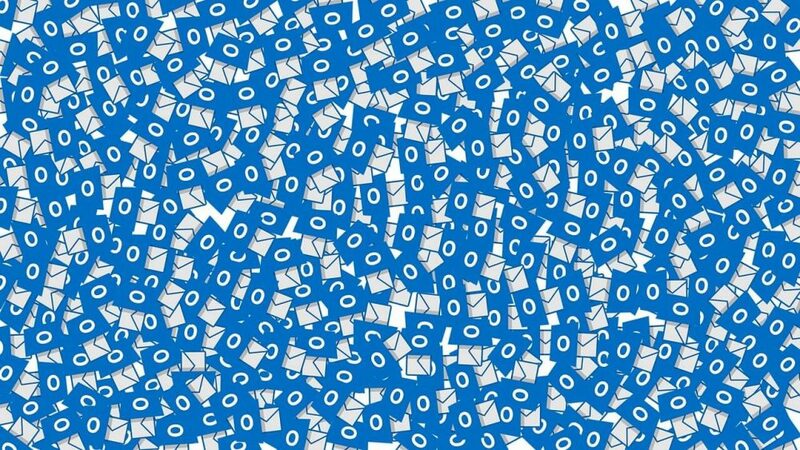 “The Office also extends its appreciation to Microsoft Corporation, ESET, Trend Micro Inc., Symantec Corporation, CenturyLink, Inc, F-Secure Corporation, Malwarebytes, MediaMath, the National Cyber-Forensics and Training Alliance and The Shadowserver Foundation for their assistance in the botnet takedown,” DOJ said.